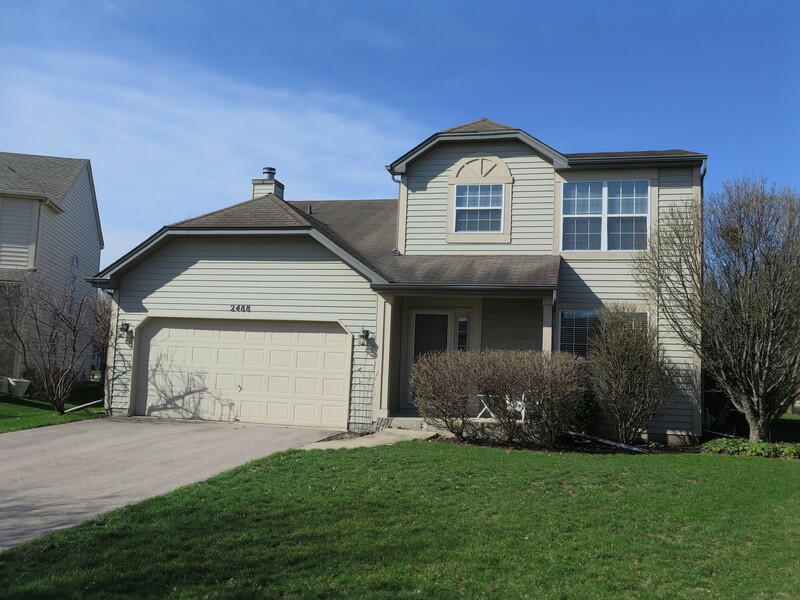 Beautiful 2 story in Orchard Valley with a Master suite and finished basement. Located on a quiet cul-de-sac just off the 11th hole this home features 3 spacious bedrooms and 2.5 ceramic tiled baths. The eat in kitchen has stainless steel appliances, laminate wood flooring, pantry and laundry closets. Bright sliding doors lead to the stamped concrete patio and roomy back yard. The inviting family room has a fireplace with wood mantel and brick hearth. The fully finished lower level rec-room is the place for family activities, a home office or the perfect space for the home theater you&apos;ve always been wanting! Additional notable features include: neutral carpet through out, large bedroom closets & a skylight in the stairwell. Quick access to I-88, shopping & restaurants!